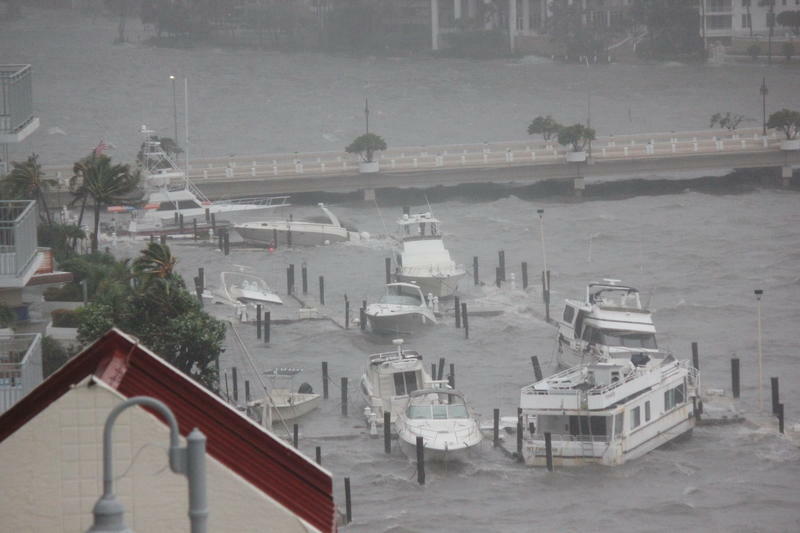 From the window of his condo, Victor Roldán watched as wind and storm surge tossed boats around the Four Ambassadors Hotel marina during Hurricane Irma. A year ago, Hurricane Irma set records as it barrelled toward South Florida. One of 10 consecutive named storms in 2017, Irma had winds of over 185 miles per hour -- the strongest Atlantic hurricane ever recorded outside of the Gulf of Mexico and the Caribbean, according to the National Hurricane Center. Scientists say stronger hurricanes are a sign of the changing climate. And, rising seas are raising the risk from storm surge. 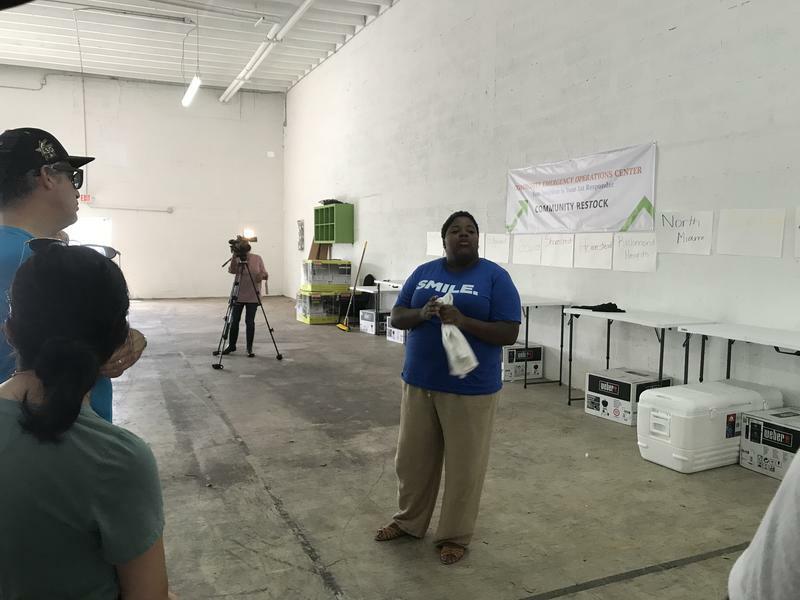 As South Florida tries to adapt, there are a lot of people here whose jobs are becoming less about imagining climate change impacts and more about seeing them firsthand. 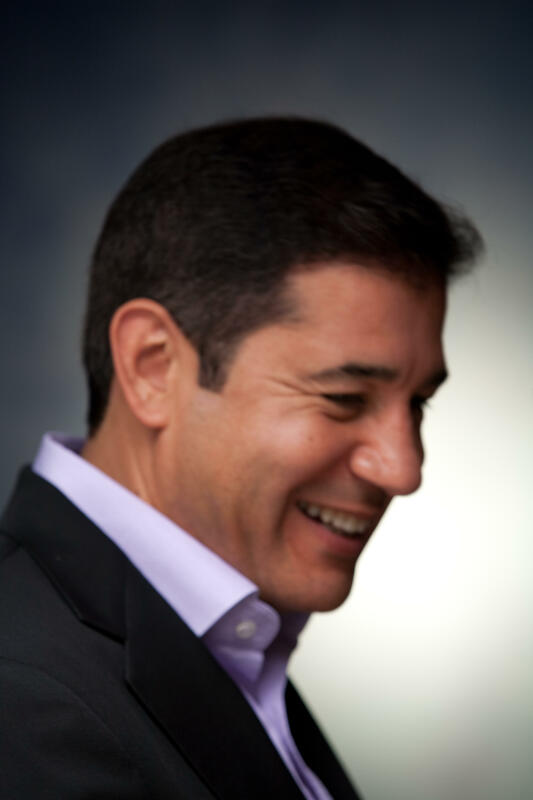 Victor Roldán is regional director for Latin America and the Caribbean at Risk Management Solutions, which helps insurance companies predict the costs of disasters. 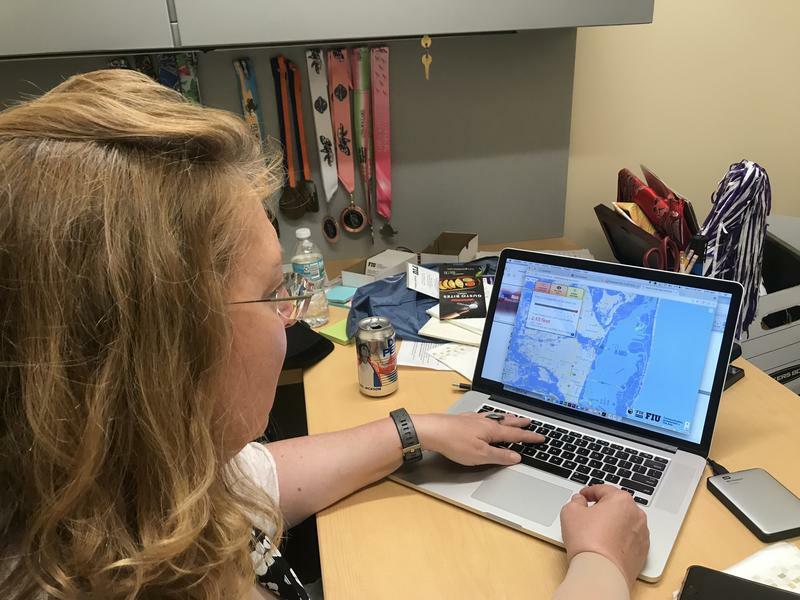 In South Florida, RMS is focused on the risks from hurricanes, storm surge and floods -- risks that are growing as the seas rise. Roldán spoke with WLRN’s Kate Stein about what he learned by staying in Miami during Hurricane Irma. Victor Roldán is regional director for Latin America and the Caribbean at Risk Management Solutions, which helps insurance companies predict the costs of disasters. He talked about what he learned by staying in Miami during Hurricane Irma. Roldán: I decided to stay in Brickell, where I live and work. 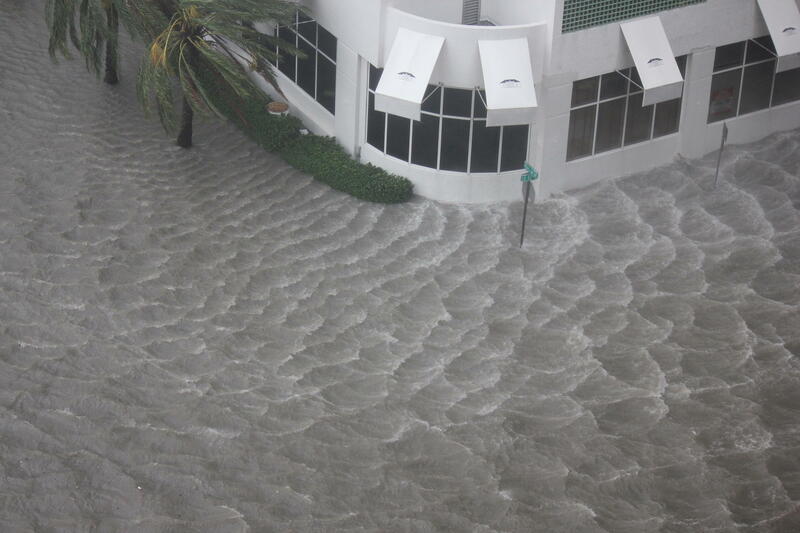 I remember talking to some of my colleagues that were in California and broadcasting to them from my cell phone and everybody was like, 'oh my God, you know there’s a river coming through the Brickell area.' And It’s amazing to see that -- you know, to see that from the balcony of your apartment. WLRN: So tell me more about that. Because you weren’t required to stay for work or anything. Why did you decide to stay in the middle of a hurricane? Well, I sent my family off, they were all safe. So I decided to stay on my own. What we knew at that point was this was a cat 5. It had been a significant time without hurricanes. So I wanted to see how we had built resilience from that point on. In my own building, I was very interested in understanding the resiliency of the building, of the community, also, that I lived. What was the experience like of riding out the storm in Brickell? So high tide was around noon time. So that’s where storm surge was highest, I think it was around four feet at that point. The seawall disappeared, pretty much. So the water was all over the seawall. And you could see that many of the buildings that were built understanding the threat, they didn't suffer any damage. Our building, I think our first floor is at 20 feet high. So we were protected. Other buildings that did have parking lots at the first level, they did have damage -- cosmetic damage, I would say. 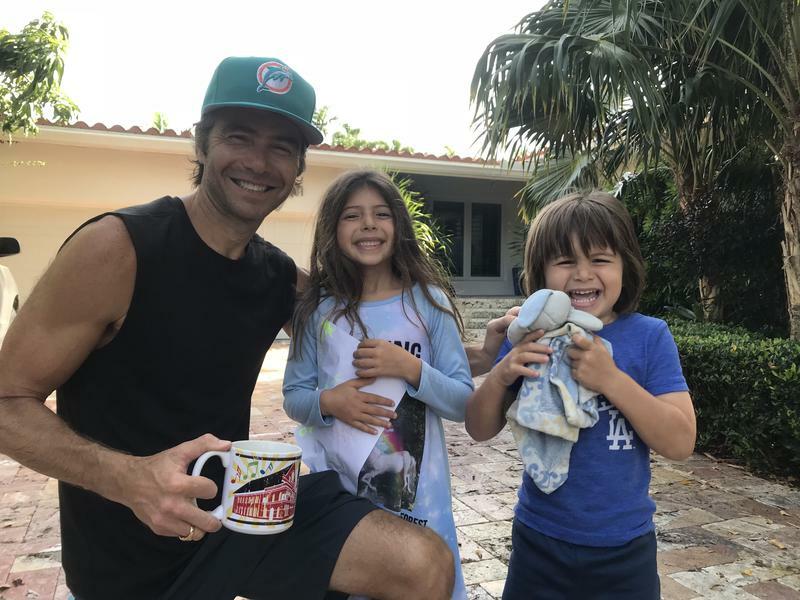 Editor's note: Roldán wrote a blog post for RMS about his experience during Irma. Read it here. Victor Roldán took this photo of Southeast 12th Street and Brickell Bay Drive around high tide during Hurricane Irma on Sept. 10, 2017. This is my work, so I felt that I needed to be there. I talk a lot about this -- this is what I "sell," so I needed to experience one (a hurricane). I was never scared. I knew that I'd make myself uncomfortable. I knew that perhaps I will live without air conditioning and without electricity for three or four days. But actually that never happened. I guess the big question here was what could have happened if Irma hit us straight with a cat 5. The estimated losses over there could’ve been a hundred billion dollars. So tell me, now that you’ve been through a hurricane in South Florida, in Brickell, does it change the way that you think about your job? I think -- I’m actually quite proud of what we do. Because I can see how our models are helping the industry, helping actually communities, to build resilience through the understanding of risk, through the understanding of these events. From Wilma til now, I mean, I can see that. I can see improvements in the kind of construction. Most of the new buildings now are, you know, impact-resistant, with impact windows. The balconies are reinforced. There's still a lot of work to do, but I’m quite proud. This interview is part of The Invading Sea, a collaboration on sea-level rise among WLRN and the editorial boards of the Miami Herald, the Palm Beach Post and the South Florida Sun-Sentinel. It has been edited and condensed. 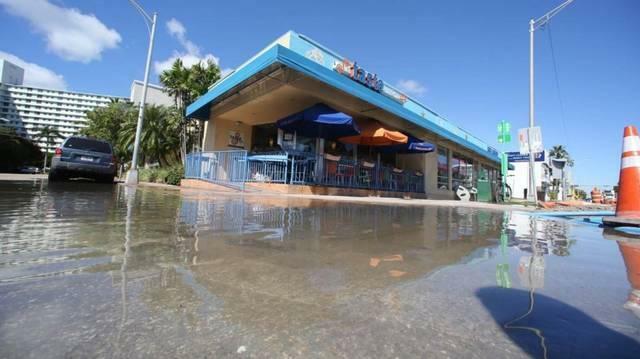 South Florida could see two feet or more of sea-level rise over the next 40 years. It’s alarming. And there’s growing concern that the risk of rising seas could sink South Florida’s economy before the water even gets here.